Sir William Golding was born in Cornwall in 1911. He started writing at the age of seven, but following the wishes of his parents, studied natural sciences and English at Oxford. He served in World War II and following the war, returned to writing and teaching. By the time Lord of the Flies was finally accepted for publication in 1954, it had been turned down by more than twenty publishers. The book became an immediate bestseller. In 1983, Golding was awarded the Nobel Prize for literature, largely based on this book. He was knighted in 1988 and died in 1993. 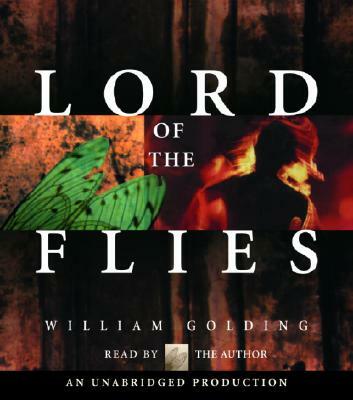 "I finished the last half of Lord of the Flies in a single afternoon, my eyes wide, my heart pounding, not thinking, just inhaling....My rule of thumb as a writer and reader—largely formed by Lord of the Flies—is feel it first, think about it later." "This brilliant work is a frightening parody on man's return [in a few weeks] to that state of darkness from which it took him thousands of years to emerge. Fully to succeed, a fantasy must approach very close to reality. Lord of the Flies does. It must also be superbly written. It is."